Kurt is the founder and owner of UltraMTB LLC. He fell in love with bikes and the sense of freedom and exploration they provide at a young age. At age 13, he trained for and completed a solo century ride, his first endurance pursuit. Since then, Kurt has raced extensively in everything from track to road to cyclocross to mountain. Looking for new challenges, he dove into world of ultraendurance mountain bike racing in 2008 and has since competed in and won some of the longest, toughest mountain bike races in the world. Beyond racing, Kurt has become an avid bikepacker, having ridden extensively in the American West, traversed half the Alps, and through Scotland, Nepal, Morocco, and Alaska. He was also featured in the adventure cycling film Reveal the Path. And throughout his racing career, Kurt has been self-coached. 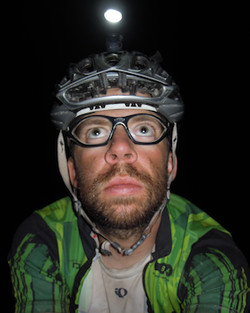 Kurt holds a Ph.D. in geological sciences and currently is a professor of geology at Prescott College where he also coached the Prescott College Cycling Team for 3 years and teaches the first college-level course to involve bikepacking – Geology through Bikepacking. 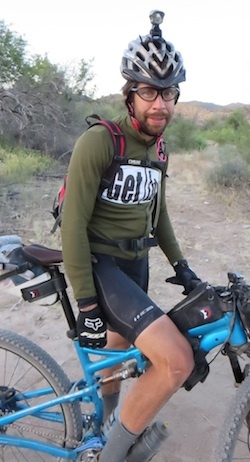 He also is the Executive Director of Bikepacking Roots, a non-profit organization he co-founded in 2017 to support the growing bikepacking community. Striving to be as knowledgeable as possible about his passions, Kurt continually furthers his understanding of the different elements of all he does, whether it be geology, racing, nutrition, or gear design. And one of the best parts of this continual process is learning together - learning with colleagues, learning with students, and learning with clients. Kurt also has ample experience with time management as he managed to balance life in graduate school with several years with 1000+ hours on the bike. He has since prioritized doing more with less, now putting in far fewer hours on the bike each year while continuing to improve upon past race results.